Brother 4.50in. (L) x 0.75in. (W) x 2.75in. (H) 0.2000 lbs. 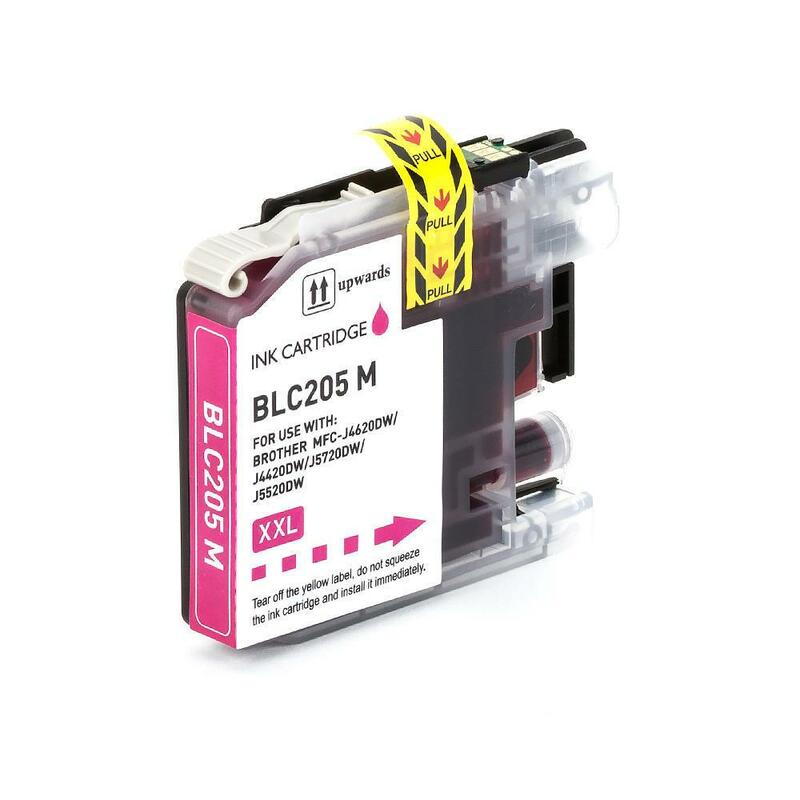 This Inksupply.com Compatible LC205 Extra High Yield Magenta Inkjet Cartridge, Filled With Dyebase Magenta Ink, Is Designed To Be A Drop In Replacement For The Brother Original LC205 And LC203 Magenta Inkjet Cartridges. Compatible Replacement Inkjet Cartridges Are Specially Designed To Produce The Same Quality And Quantity Of Prints That You Would Get With The OEM Cartridge.